Coming on February 24, the next reissues from Herb Alpert include the acclaimed Herb Alpert/Hugh Masekela album, Bullish, and Blow Your Own Horn. In addition, North on South St. was recently released in high-res, available from the usual sources (HDTracks, Qobuz, etc.). HDTracks’ Herb Alpert high-res sale: 20% off! Pick these up soon! All of the reissues are mastered by Bernie Grundman. Well worth getting, in our opinion! The long awaited release of a good portion of the Herb Alpert back catalog on CD has arrived. Ordering is available on Amazon, Barnes & Noble and other online retailers today, as well as at retail stores. Want to see which titles are in this reissue batch? Visit our guide here, listing all of the new releases. 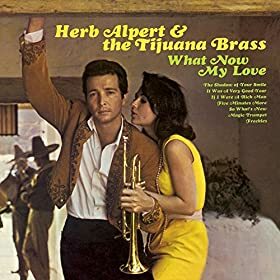 We have just posted our buying guide for the remastered Herb Alpert recordings. September 9 will see the reissue of 22 titles from Alpert’s back catalog on CD; five popular titles are also being released on 180g vinyl, mastered by the great Bernie Grundman. Note that all of these titles are currently available as downloads from Amazon, iTunes, Tidal (in lossless CD quality), Acoustic Sounds and HDTracks, the latter two offering the highest resolution files available. You can also find four of Lani Hall’s albums at these download sites as well. Visit our guide here, and be prepared to relive the great music of Herb Alpert in newly remastered sound! Herb Alpert’s new EP, Human Nature, is a collection of electronic dance-oriented tunes, being released on September 30, 2016. The track listing includes the title track (Michael Jackson’s hit), three by Burt Bacharach, and a handful of others. You can sample the track “Doodles” at Soundcloud. Preorders for Human Nature begin on August 5. The promotional graphic for the reissues, coming on September 9th! 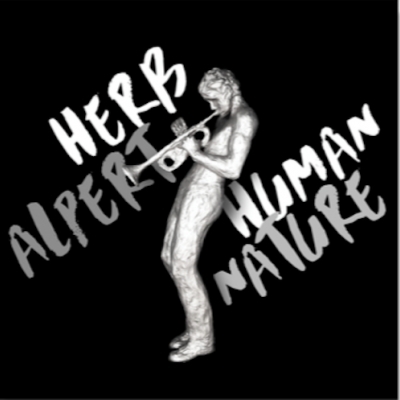 We have official word that a new Herb Alpert EP, entitled Human Nature, will be released on September 30. Check back here for more information as we receive it. We finally have official word: the reissues are on the way! Expected release date for the CD and vinyl reissues is September 9, 2016. The new titles will be released worldwide. The vinyl reissues, pressed on 180g vinyl, include South of the Border, Going Places, What Now My Love and Rise. Keep in mind that these titles are still available as downloads at many retail outlets, and as high-resolution titles at Acoustic Sounds and HDTracks. Deal alert! Herb Alpert HDTracks titles on sale! This deal ends on April 28th at 11:59PM, so don’t delay. Spend $50 at HDTracks and get 20% off storewide. This includes the excellent sounding Herb Alpert and Tijuana Brass titles. Herb Alpert -"Ain't No Sunshine"
"Felicia" & "Just A Little"
Herb's music on "Arrested Development"
Many of these albums can be purchased via Amazon, iTunes, eBay, and many other participating retailers. Visit Amazon to see our full list of official releases. Our full discography feature will return in the future.